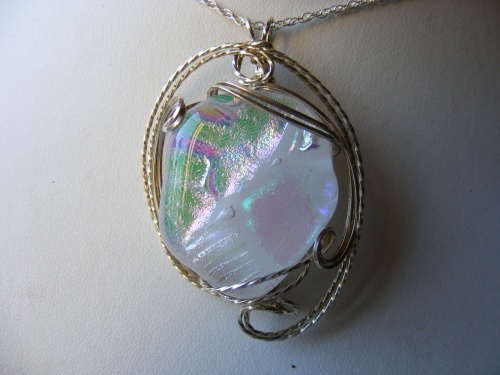 This gorgeous piece of handmade dichroic glass has hues of pinks, aquas, golds and silver all through it. It is definitely one of a kind and is sculpted in argentium silver so it wont tarnish as easily. Measures 1 3/4" from top ot bottom and 1 1/4" wide. Comes with a sterling silver chain.